As per team tradition, the Packers select game captains each week. Today’s captains will be QB Aaron Rodgers (offense), S Morgan Burnett (defense) and WR Ty Montgomery (special teams). 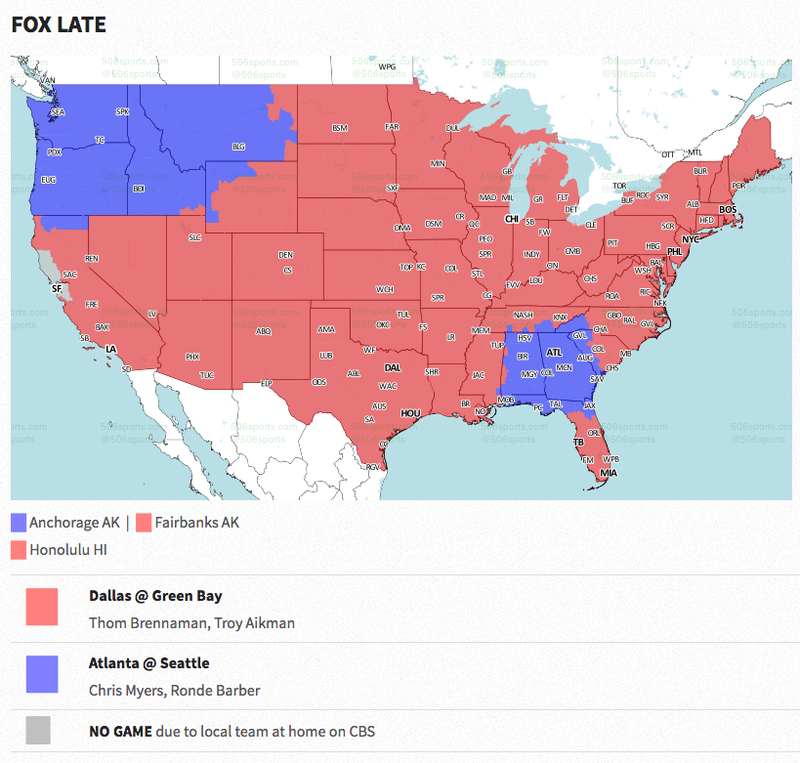 – FOX Sports, now in its 23rd season as an NFL network television partner, will broadcast the game. – Sports USA Radio will air the game on radio across the country. Wayne Randazzo (play-by-play) and Doug Plank (analyst) will call the action. – DIRECTV subscribers can watch the game on Channel 715. – The Packers topped the Dallas Cowboys, 28-7, on Sunday at Lambeau Field to improve to 9-4 on the season. The victory moves Green Bay into sole possession of first place in the NFC North, one game ahead of Minnesota (8-5). – Green Bay improved to 18-3 at Lambeau Field in the month of December under Head Coach Mike McCarthy. The Packers have won 14 of their last 15 contests at home in December. – The Packers rushed for 230 yards on 44 carries (5.2 avg.) on Sunday, their most rushing yards in a regular-season game since Nov. 29, 2004, vs. St. Louis (231 yards on 28 carries). – Green Bay posted 29 first downs on Sunday, its most since recording 30 vs. Minnesota on Nov. 24, 2013 (OT). – The Packers posted a 37:48 time of possession on Sunday, a season high and the best since Week 16 last season at Tampa Bay (38:38). – The Packers registered their eighth zero-giveaway game of the season, tying the single-season franchise record (2009). – Green Bay limited the Cowboys to a 9.1 conversion rate on third down (1 of 11), the Packers’ best mark posted against an opponent since Dec. 16, 2012, at Chicago (0.0, 0 of 9). – The game-time temperature of 53 degrees on Sunday was the warmest recorded at Lambeau Field for a December/January game (since 1959). The previous high at Lambeau Field was 45 degrees (vs. Denver, Dec. 28, 2003; vs. Minnesota, Dec. 2, 2012). – The Packers will travel to Oakland next Sunday to take on the Raiders at 3:05 p.m. CST, Green Bay’s first regular-season visit to Oakland since 2003. – Today’s paid attendance was 78,369, the 316th consecutive regular-season sellout at Lambeau Field. – QB Aaron Rodgers’ surpassed the 3,000-yard passing mark on the season for the seventh time in his career (2008-12, 2014-15), the second most in franchise history (Brett Favre, 16). Rodgers now has 3,175 yards passing this season. – TE Richard Rodgers’ 3-yard TD catch in the second quarter was his seventh receiving TD of the season. He has five TD receptions in the last six games. – RB James Starks posted 103 yards from scrimmage (71 rushing, 32 receiving) on Sunday, giving him a career-high 884 yards from scrimmage for the season as he surpassed his previous high of 794 yards in 2011. – Starks posted a rushing TD and a receiving TD on Sunday, giving him a career-high five total TDs on the season. – RB Eddie Lacy recorded a season-high 124 rushing yards on 24 carries (5.2 avg. ), his third 100-yard rushing game in the last four contests. – WR Randall Cobb finished with eight receptions for 81 yards (10.1 avg. ), extending his streak of consecutive regular-season games with a catch to 53 (No. 5 in franchise history). – CB Sam Shields recorded an interception on Sunday, giving him one in all three regular-season games he has played in his career vs. Dallas. – For the second straight game, P Tim Masthay punted six times and posted a net average of 44.0-plus yards. Masthay registered a 44.7-yard net average on Sunday vs. Dallas. – FOX Sports, now in its 22nd season as an NFL network television partner, will broadcast the game. – Westwood One Sports will air the game across the country. Kevin Lee (play-by-play) and Mark Malone (analyst) will call the action and Scott Graham will host pre-game and halftime shows. -DIRECTV subscribers can watch the game on channel 717. – The Packers beat the Dallas Cowboys, 26-21, on Sunday afternoon at Lambeau Field to secure a spot in the NFC Championship game next Sunday at Seattle. – It will be the sixth time Green Bay has played in the NFC title contest since the 1970 AFL-NFL merger. This will be the Packers’ third appearance in the NFC Championship in the past eight seasons (2007 and 2010), which is tied with San Francisco for the most in the NFC over that span. – Sunday’s contest against Dallas was Green Bay’s 50th postseason game, which ranks No. 3 in league history behind Dallas (60) and Pittsburgh (55). The Packers now have an all-time record of 31-19 (.620) in the playoffs, including a 17-5 (.773) mark at home. – Sunday marked Green Bay’s first playoff win when trailing at the half (14-10) since Jan. 13, 2002, vs. San Francisco (7-6). – Today’s paid attendance was 79,704, a new Lambeau Field record. – QB Aaron Rodgers threw for 316 yards and three TDs on 24-of-35 passing, his fourth career 300-yard game in the postseason as he surpassed Brett Favre (three) for the team playoff reord. – It marked Rodgers’ fifth career playoff game (10 starts) with a passer rating of at least 110.0, which is tied for the third most in NFL history behind only Joe Montana (six in 23 starts) and Tom Brady (six in 27 starts). – Including the postseason, Rodgers has now thrown 512 passes and 41 TD passes without an interception at home. – WR Randall Cobb posted eight receptions for 116 yards (14.5 avg. ), both career postseason highs. His eight receptions are tied for the fourth most by a Packer in a playoff game (three players with nine). – WR Davante Adams recorded 117 receiving yards and a TD on seven catches (16.7 avg. ), the most receiving yards and catches by a Green Bay rookie in playoff history. – RB Eddie Lacy (101 rushing yards on 19 carries) became the first Packer to rush for 100-plus yards in a postseason game since RB James Starks posted 123 yards at Philadelphia on Jan. 9, 2011. – With eight points on Sunday, K Mason Crosby brought his career total to 1,122, which is the most points scored in the regular season and postseason combined in franchise history (K Ryan Longwell, 1,119). – Crosby connected on both of his field-goal attempts, further extending his franchise-record streak to 11 consecutive field goals made in the playoffs. – Crosby scored in his 12th consecutive postseason game, further extending his franchise record. – TE Andrew Quarless’ 4-yard TD catch in the first quarter was his first career postseason TD. – With two forced fumbles on the afternoon, LB Julius Peppers became the first Packer to post two in a postseason game since CB Mike McKenzie at Philadelphia on Jan. 11, 2004. – LB Nick Perry led the Packers with 1.5 sacks, his second straight playoff game with at least one sack. – The Packers’ 425 yards of offense on Sunday were the most by the team in a postseason game since recording 442 at Atlanta on Jan. 15, 2011. – Green Bay’s conversion rate of 64.3 on third down was its best in a playoff game since a 66.7 rate (8-12) at Atlanta on Jan. 15, 2011. – The Packers registered four sacks on Sunday, their most in a playoff game since recording five at Atlanta on Jan. 15, 2011.